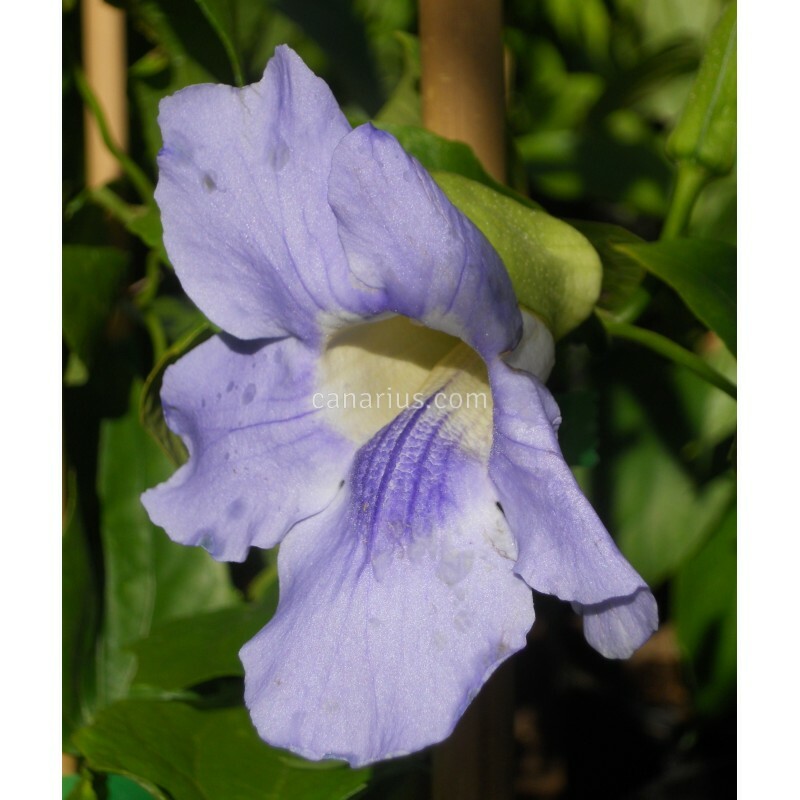 Lush vine with elegant foliage and exotic blue flowers with a yellow throat, widely called the blue bignonia. It is frost-sensitive and thrives in Mediterranean to Tropical climates. Lush vine widely planyed in exotic gardens. It has an elegant foliage and exotic blue flowers with a yellow throat, widely called the blue bignonia. Thunbergia grandiflora is native to many Asian countries. It is frost-sensitive and thrives in Mediterranean to Tropical climates. 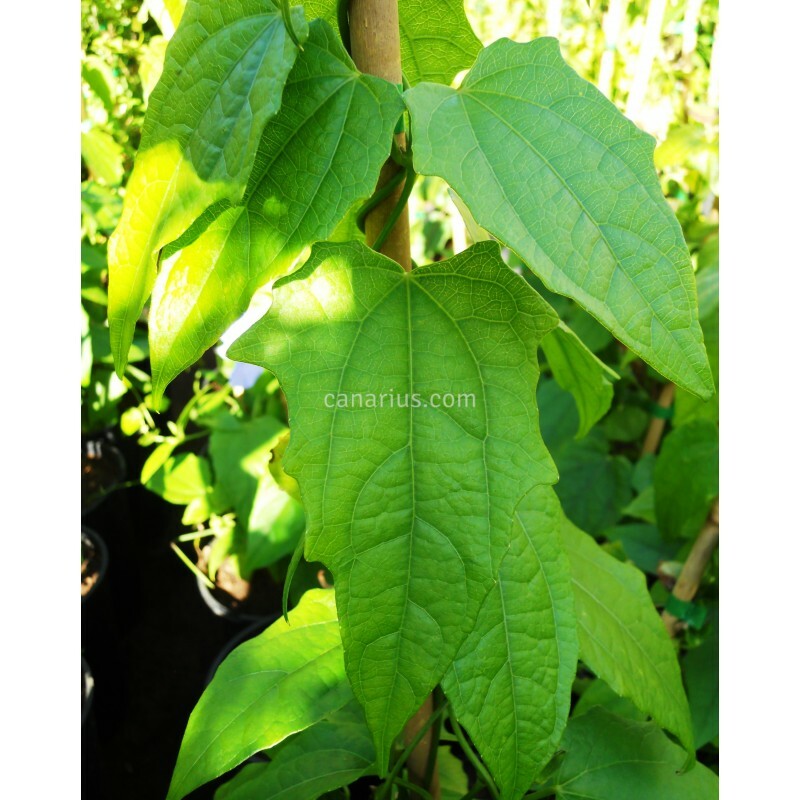 We offer a well developed plant grown from a cutting rooted about one year before.